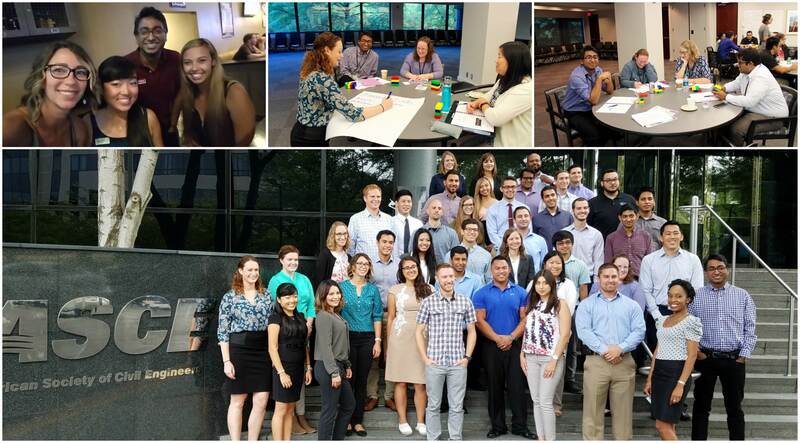 From 5th to 7th August, the annual Young Member Leadership Symposium was organized at the ASCE headquarters in Reston, Virginia. Rajan Jha from our region was one of the 42 young members from all across the United States that participated in this symposium. The two day workshop was focused on gaining leadership development and professional development training and also understanding the significance of personal vision in everyone’s career. By attending this event, ASCE young members were able to gain 10 Professional Development Hours (PDHs)and also had an opportunity to network with young members from all across the country.